The Civilian Marksmanship Program (CMP) has purchased roughly 500 acres of property just south of the Talladega Speedway in Alabama for the purpose of building a new CMP Outdoor Marksmanship Facility. As planned, the new site will include a high power rifle range, 100-yard smallbore range, ten (10) action pistol bays, and a shotgun range. The multi-phase, multi-year project will allow the CMP to offer competitions and marksmanship training at a state-of-the-art facility in the Southeast. 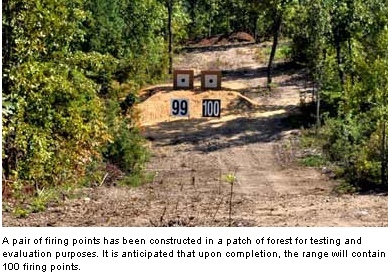 “With the support of friends of the Civilian Marksmanship Program, we envision a facility that will provide … a safe, instructive environment where CMP will conduct training, competitions and related events near our Anniston home, less than 30 minutes away,” said CMP Chief Operating Officer, Orest Michaels. The facility, projected to be completed in five phases, will be located three miles from the Talladega Superspeedway, and will be accessible from the Eastaboga (#173) or Talladega (#168) Interstate 20 exits. The facility property is situated near Turners Mill Road, south of the speedway and two miles north of downtown Talladega. 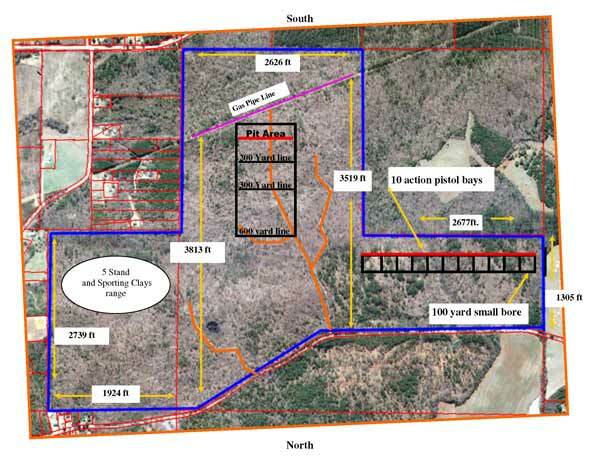 For now the CMP has cleared land for access roads and constructed a pair of 200-yard highpower rifle firing points for testing and evaluation purposes. Phase I – to establish a 50-point rifle range with firing lines at 100 and 200 yards, complete with fully-operational target pits with manually-operated cantilever style target carriers and a state of the art electronic target system. Phase II – Expand the range by adding 300- and 600-yard firing lines, utilizing Phase I features and adding permanent restroom facilities. Phase III – Construct a 100-yard smallbore range, a 50-yard pistol range, a 50-foot pistol range and a 10-Bay action pistol range. 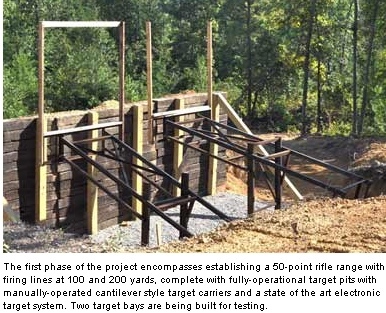 Phase IV – Complete classrooms for firearm safety and marksmanship training. Phase V – Create a five-stand, 12-station sporting clays range. At present the CMP leases outdoor ranges at Camp Perry to conduct the Small Arms Firing Schools, clinics and games events during the annual National Matches in July and August. Additionally the CMP has conducted regional events and clinics at non-CMP facilities in Arizona, California, Georgia, North Carolina and Oklahoma. “Eventually the CMP Outdoor Marksmanship Facility will provide us greater flexibility with outdoor programming and allow us to offer additional opportunities to participate in firearm safety and marksmanship events in the southeastern U.S.,” Michaels added. 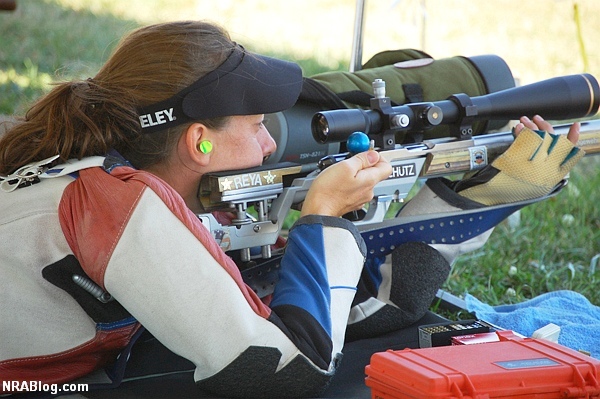 Share the post "CMP to Build All-New 500-Acre Shooting Facility in Alabama"
While on the fields of Camp Perry during the Smallbore 3-Position Rifle Championships, NRABlog editor Lars Dalseide had the opportunity to interview Reya Kempley, a very talented young lady. A past Woman’s Champion, Reya finished fourth overall in this year’s 3-Position Championships. Reya is also a trained pilot, and she has written a book on flight safety procedures. Getting away from the office, recharging the batteries, is a necessity for everyone. The same could be said for getting away from the range. 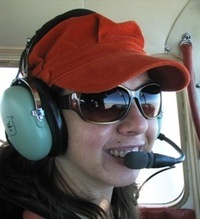 In addition to working with her brother on BeeSafe, an online store for smallbore barrels, gun safes and more, Reya found solace in the writing and publication of her new book Flight Emergency: Take the Left Seat in Eight Role-Playing Emergency Scenarios. “I’m definitely into aviation, learned to fly and had an idea for an interactive adventure book about flight training with a focus on emergencies,” explained Kempley. “Thought I’d just go for it. I didn’t want to be an 80-year-old woman and regret never trying.” Her book was published last fall. Sales were encouraging enough to proceed with an eBook version. “People are more willing to give it a try electronically than with paperback,” said Kempley. “That’s just how the market is.” With 4.4 stars out of 5 on GoodReads.com and 4 out of 5 on Amazon.com, there could be a second book on the horizon. More on flying? Learning the barrel roll? Shooting Smallbore in the Camp Perry sun? 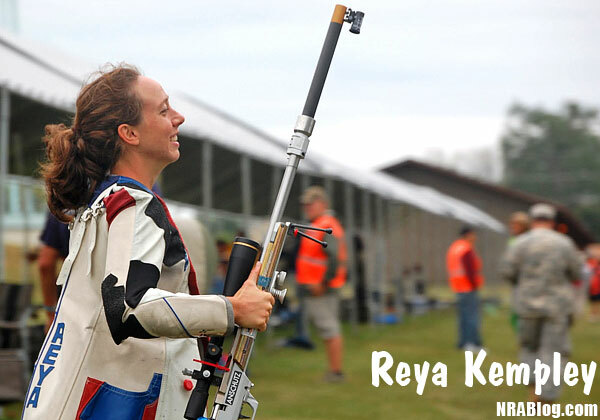 Share the post "Profile of Reya Kempley: Shooter, Pilot, Author"
National Hunting and Fishing Day (NHF Day) takes place on Saturday, September 22nd. The annual celebration serves as a reminder that conservation succeeds because of leadership and funding from hunters, shooters and anglers. National, regional, state and local organizations will run thousands of “open house” hunting- and fishing-related events around the country. Events will include Fishing Derbys, Hunting Expos, Wing-shooting tournaments, and much more. An estimated four million Americans will participate. For information on NHF Day, visit www.nhfday.org. To find an NHF Day event near you, click the link below. 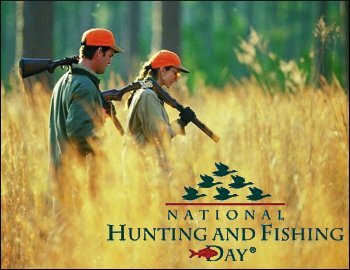 Share the post "National Hunting and Fishing Day Set for September 22"